Pharmacy Dosage Errors | Kennedy Hodges L.L.P. 3 out of 10 medication errors involve improper dosages. One very common form of medication error is when a patient is given an incorrect medication dosage. 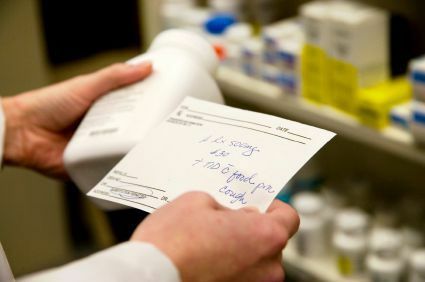 Pharmacies and their staff have a responsibility not only to ensure that people receive the correct medication, but also that these prescriptions are in the correct dosage. Studies sponsored by the FDA tell us that more than 30% of all pharmacy errors relate to dosage errors. Receiving the wrong dosage amount of certain medications can be harmful or even deadly to a patient. Pharmacy staff confuses metric units and dosing units. It is awful to think that just one incorrect decimal point can lead to your child receiving 10 times the correct dosage of medication. Human error, bad lighting, uncomfortable workspace, and many other factors can lead to medication errors. As the number of prescriptions being filled every year rises, the rate of pharmacy errors will also increase. What to do if you have suffered because of a wrong dosage error. Order our free book, "How to Make Pharmacies Pay for Your Injuries Caused by Medication Errors." We wrote this book so patients in your situation can learn how to protect yourself and loved ones and hold the pharmacy accountable for its mistake. Wrong dosage errors can cause life-altering injuries and even death. If you or a loved one has suffered because of a wrong dosage error from a pharmacy, you need assistance. You should then order a free copy of our book, "How to Make Pharmacies Pay for your Injuries Caused by Medication Errors," to learn more about taking action because of a dosage error. You can then decide to call our board certified attorneys toll free to review your case free of charge. Chain pharmacies will do everything in their power to deny you any claim. But when you have an attorney on your side, the pharmacies pay attention. If you have suffered because of a pharmacy dosage error you should speak to a board certified personal injury attorney immediately. Clients we have represented in pharmacy error cases. Our firm has successfully represented clients in claims against all of the major pharmacies across the country for medication errors or dosage errors. We are experienced in handling these claims against large corporations like Walgreens or CVS and against small companies alike. Read our case results to view some of our successful cases.